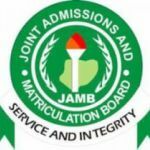 Can I upgrade my Jamb 2017 result? So many desperate Jambites who score low in their 2017 UTME examination are eager to get positive answer from the above question. With every passing day, hundreds of hungry fraudsters parade themselves online as Jamb agents. These persons claim that they can upgrade results for those who did not score high in Jamb. As a matter of fact, they present evidence that upgrading Jamb 2017 result is very possible. Hear this, just as Jamb expo didn’t work in this era of Jamb CBT update, so also Jamb upgrade doesn’t work. Jamb 2017 results upgrade is a scam and myth. You need to be very careful. Don’t send your Money or Your parents hard earned money to internet fraudsters in the name of Jamb score upgrade. ou may not have performed very well in Jamb 2017, this doesn’t stop you from gaining admission. In fact, Even if your score is so low that you can’t get admitted with it, it is not the end of life. There is always room for improvement. Come back stronger next year. Jamb results upgrade is a scam. Be warned. Sign up to my newsletter for Jamb updates.